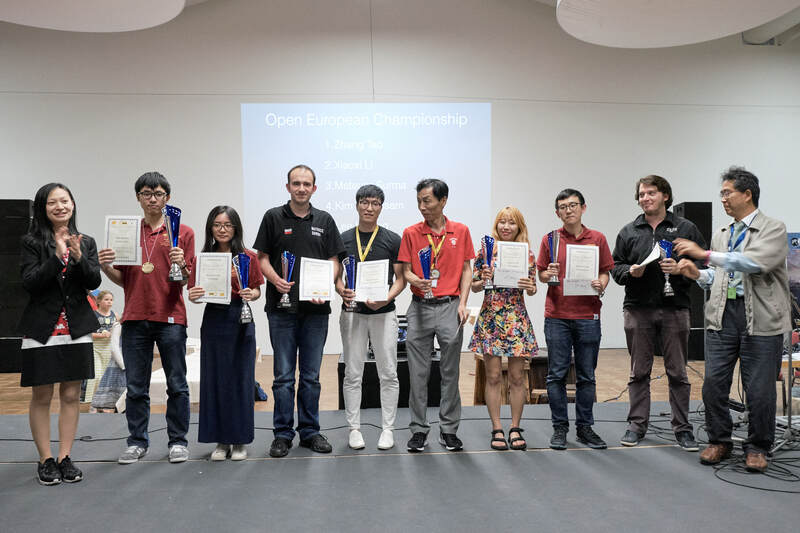 At the end of our Go congress, during the bustle of people tearing down posters, packing Go materials and finishing up the last few tournaments, we had a word with Zhang Tao 5p, winner of the European Open 2017. 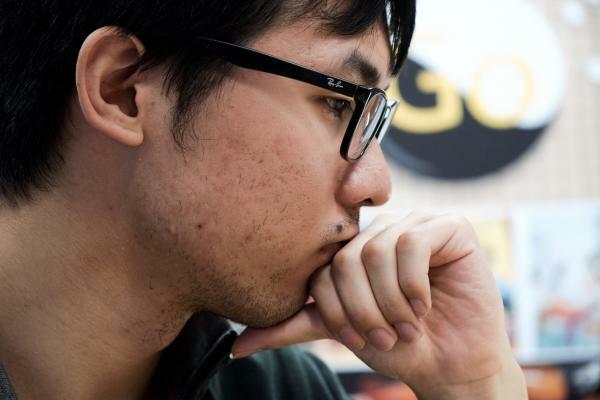 He is 26 years old, started playing Go at age 6 and became professional at 13. Special thank you to Mei Wang for helping us as an interpreter for Mr. Zhang. Fabian Bambusch (egc2017.eu): So you’ve won the European Open this year and you were undefeated all 10 rounds, to boot. Congratulations! Zhang Tao: Thank you so much! FB: Why do you love Go? ZT: Hard to say… this makes me think of Yuanfen, the chinese concept of fate. when I was young, I played Go, I liked it and I kept playing. So it’s a coincidence, but one that has shaped my life for the better and so I kept following that path. FB: I know that this is your first trip to Europe, but how did you get the opportunity to visit the congress? We’ve heard some rumors about an invitation involving the Chinese government? ZT: We were actually sent here to compete in Go by our university in Shanghai as sort of a student exchange. Unless you are asked to do lectures, there usually aren’t any invitations to follow. FB: Well, if you’re here for the tournament first and foremost, then that’s even better! We are happy to host you and can be proud to have strong players like you compete with some of our strongest local players. ZT: I also haven’t had many opportunities to communicate with European players up until now which is very interesting to me. FB: When you look at amateur or even professional Go events in China, how would you compare them to the EGC? ZT: The atmosphere is certainly a lot more relaxed allowing for more communication and fun. When I play in China, winning is most important and that completely alters your attitude towards the game. FB: Seeing how you won all your games during the main tournament quite handsomely, how has this shaped your opinion of the EGF pros and other top European players? ZT: I feel after one tournament I’m not familiar enough with European Go just yet to answer this question. But I do know that there are some top European players in one of the biggest Chinese Go schools where people study to become professionals. 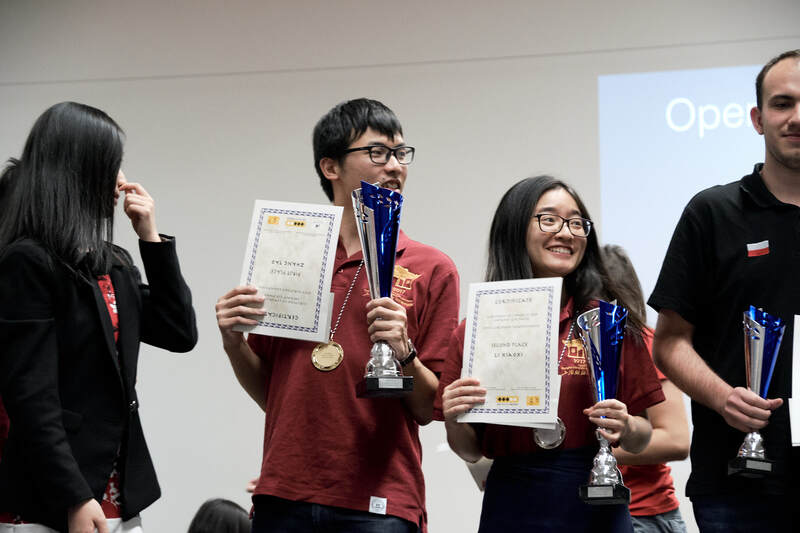 And what I’ve heard is that those European players are currently in the third strongest group within the school. And if that’s the case, then on average strength differences between them and graduates on their way to becoming professional would be around 3 points (on the board). FB: There’s some room for improvement still but it looks like we’re starting to catch up. I would so love to see Europeans competing internationally with the best players in the world on an equal basis – some day! Apart from the Go congress though, have you found some time to visit any sites in Germany or even further away in Europe during your trip? ZT: We’ve visited Munich, Bavaria, and the castle of Neuschwanstein, which is really beautiful! But Oberhof itself was a great place to stay as well! FB: That’s always so great to hear. As an organiser you’re constantly worried about things going well and when people tell you they had a great time, that makes it all worth it. Is there something you will take away from this congress, something that you’ll remember as your best moment in Oberhof? ZT: [laughs] The most impressive thing to me is the sky. FB: Oh dear! Yes, I’ve heard the smog in the big Chinese metropoles can be very hard to bear! ZT: But what I keep in mind the most will probably be the passion all the players here have about the game. FB: And how likely do you think is it you will visit us again when the Go congress migrates to Pisa next year? ZT: Of course I would very much love to come visit the congress once again but I am somewhat tied to what my university decides will happen.